Healing with Guided Meditations - The Time of Light Psychic Readings, Zorica Gojkovic, Ph.D.
and, most importantly, become aware of thoughts, beliefs, desires that are outside our conscious awareness thereby giving us access to our greater reality allowing us to make accurate decisions for our lives. Guided meditations are an easy and pleasant way to help you with your life, improve it and bring success, fulfillment, abundance, love, peace, joy -- all the good things we all want. Most of all they can bring about a connection to your divine self, which of course means unlimited expansion and potential. Guided meditations are a fantastic, pleasant and powerful healing modality. I started creating my own guided meditations when I started giving psychic readings. In givings psychic readings, I saw how energy operates in the human energy field, how energy behaves to create our reality. What that means is that to change anything, we have to first change the energy field, our aura. Thoughts, beliefs and feelings are energy. They create your reality. These thoughts, beliefs and feelings can be from any time in our life, including childhood. When I saw psychically how this energy flowed in the human energy field, what became obvious was the specific energy that needed to change to bring about certain results. I wanted to use this knowledge of how energy operates in the aura to make changes in my own life. And since I could not find anything on the market that worked from this knowledge base, I started creating my own guided meditations. Let me give you an example of how a guided meditation works to bring about improved life conditions. Let's take my Evening Peace: A Guided Meditation. ​I created Evening Peace because I needed something to help me calm down from the day, something that would help me handle my worries and concerns, focus me on what was important, relax from the day and set positive intentions and envision the next day. Evening Peace is meant to be used at the end of the day, though you can use it any time. At the end of the day we're all buzzing from the day, so the guided meditation starts by having you become aware of your thoughts and feelings and sensations in the body. It's a way to come back to self, pull back your energy that's out there on people and things and tomorrow, and on and on, and back to yourself and find out what is going on with you, a way to become aware of what is preoccupying your mind, and do something about it. Most of the time we are worried about things . . . and we keep worrying . . . and we keep worrying -- when the only way to stop the worry is to ask yourself: what do I really want? What is important? So, what goes on in the aura, the energy field at those times? When we have lots of worry thoughts cycling in our system, it is difficult to find solutions: because you are not looking for solutions -- you are focused on the worry. To move past this worry stage, you identify your worry and you identify what you want. Your thoughts are energy that create your reality. And now you are directing your thoughts in a constructive direction. This opens up the energy field. When your energy field is open, you are connected to All That Is. You are receptive to answers and solutions. So, if every day, you identify your worries and concerns, identify what you want, identify what is important to you, you clear your aura. You set yourself up for a condition of well being and progress in directions that are positive for you. How many times do you ask yourself -- and really listen to the answer -- what do I really want? What is really important to me? Most of us don't. We just keep doing life. Listening to Evening Peace you get to ask yourself that question and hear the answer, and hopefully take action as a way to improve your life. We are happiest when we are paying attention to ourselves, to our feelings, needs, desires, soul callings -- and acting to fulfill them. This attentiveness, awareness, and responsiveness create an amazing state of being, vitality and health. Listening to Evening Peace I have had unbelievable insights and revelations that have completely altered my life. For example, I became fully aware of the body as distinctly having needs of its own and not just about eating well and getting exercise, but the body as wanting to experience incarnation in its own right separate from what the mind wants. While it is operating in this physical reality, the body wants to really experience this reality, enjoy it, revel in it. This is my experience. Everyone will have their own experience. I love my guided meditations and use all of them regularly and am always creating more. I find myself in a certain emotional state where I notice a limitation to my own expression in some way and a meditation comes to mind as a solution as to how to bring about change. It comes to me all done in my head, the entire structure of it. It takes me forever to refine it once I start to work on it, but the concept comes to me as a whole, like a download. So I create it, listen to it, make the desired changes, expand my energy field, expand my life, evolve, bring in more light, love, joy, peace and creativity. I love it! I write about how energy operates in my book, The Working of Energy in the Human Energy Field: A Psychic's Perspective. This explains further how my guided meditations are effective. If you've not worked with guided meditations, I highly recommend you try them -- mine in particular because they are exceptional (yup, I could be a tad biased, but heck if they work wonders for me how can I not love them. They are very important in my life.) -- and make them a wonderful part of your life. I have mine on the tablet and listen to them with headphones. Affirmations of Highest Truth is the first guided meditation I created. I was writing The Workings of Energy and at the end, the meditation just came. It came to me as fast as I could write it. Definitely higher self came in and wanted to end the book with huge inspiration. It then came to me to set it to music. It has its own perfection besides being wonderfully integrative. Attunement came from a desire to listen to something in the morning as a way to orient for the day, set the mood, set positive intentions, remember the wholeness of being, remember my own divinity, my own inviolate nature, remember my existence in God. Evening Peace I've already talked about, but it was primarily motivated by simply letting go of the day, by resolving remaining concerns, establishing them in the greater reality of All That Is, and remembering to direct my consciousness toward light, toward possibilities, in the direction of expression of soul potential. Relax, Let Go came from the simple desire to finally have a good guided meditation for relaxation. 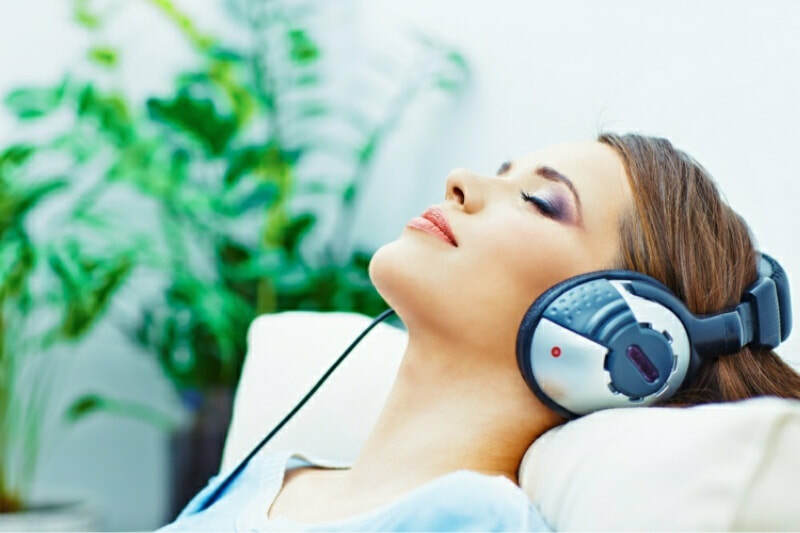 I wanted a beautiful voice, beautiful music and a guided meditation that actually made sense, taking into consideration the entire process of relaxation. If you're very up-tight and worried, you just can't relax, so I start Relax, Let Go by addressing your current state of being. To relax, you have to start with where you are, your present state of being. By being present with yourself in this way, your preoccupations automatically begin to dissolve. For this reason I created three different versions and lengths of Relax on the same CD to address different degrees of stress. If you are really stressed, you use the longest version which has the longest debriefing time from worries and concerns. Version number one, which is the shortest, goes into relaxation right away. Version number two is for when you have some concerns, but are not majorly stressed. What is absent in general relaxation guided meditations is the larger Reality in which we live that includes spirit, includes are divine nature. When we come into our larger, expanded reality, we instantly relax. We are not alone. Our earthly problems are put in perspective. All of Relax, Let Go​ takes place in this larger, spacious reality of the divine. Soooo good and soooo wonderful. This guided meditation took the longest to create. It includes going back in time to childhood experiences that create present difficulties, so it was difficult to write because of my own memories, and even more difficult to test because I'd cry every time I'd listen. However, its power is amazing. The realizations I have had, the shifts in consciousness, the illuminations -- priceless. Not too long after I started giving psychic readings, I was given a vision, was shown how to heal by changing energy in the aura. Healing Core Energies is the result of the information I was given. How it actually works, I think, will take an entire book to explain, so I won't try it here. The short explanation is that we walk around in the present with certain problems. Those problems have an energy. Those problems were usually created in childhood -- that's when that energy was created. To change the present, you identify that core energy, core feeling, trace it back to when it started, and then change the energy in that original situation. Changing that core energy creates healing in the present. It is a challenging meditation to do, but the results are phenomenal. I suggest using it only if you are very experienced with doing self-healing. You will also have to know how energy works in the human energy field, as I am seeing it psychically. Reading my short book, The Workings of Energy in the Human Energy Field, gives that information.